Ok class, time for our Essie history lesson! But seriously though. Sometimes I sit and do research on Essie and come up with all kinds of interesting information. I especially love finding interviews with Essie Weingarten herself and what polishes are her favourites. I also love reading about these classic early shades she created. This beauty is called Really Red. It's production number is 90 so it was created in the very early 80's among some of the very first Essie's. It's a gorgeous red nail polish. It's in between a jelly and a creme (a crelly) and has a very shiny and slightly squishy finish in 2 self-leveling coats. It's a neutral red - not blue-toned or orange-toned. Just a perfect medium red that would be universally flattering on any skin tone, in any season. 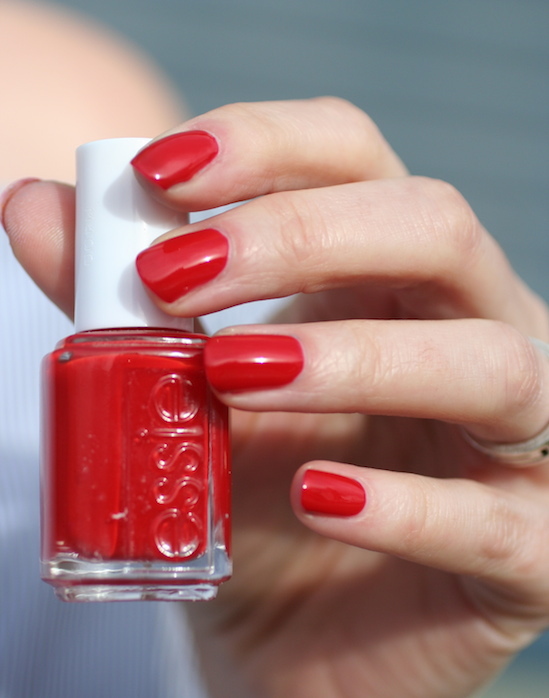 I found a list of Essie's favourite Essie shades and Really Red was on it. I can definitely see why. 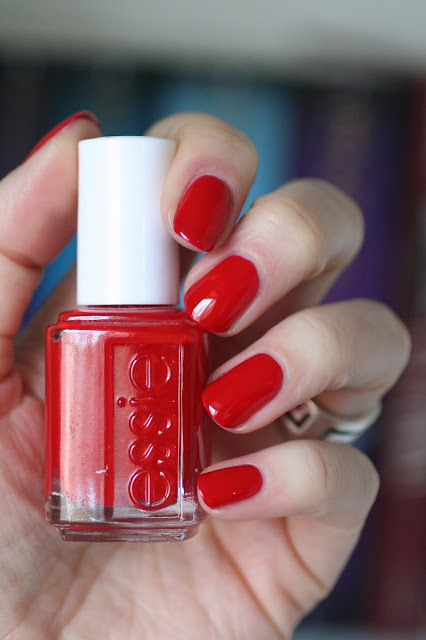 Essie's website calls it an "award winning" red but I haven't been able to find what awards it has won. I guess that just tells you it's really really good. I came across this polish last Spring in my local Winner's (like Marshall's or TJ Maxx) and it had a clearance sticker marked down to $4. I passed it up because I have sooooo many reds but the Essie collector inside me was crying a little bit. A week later, I was back at Winner's and crossed my fingers that this polish was still in the clearance bin. Lo and behold, they had one bottle left and it was marked down to $3! This baby was all mine. 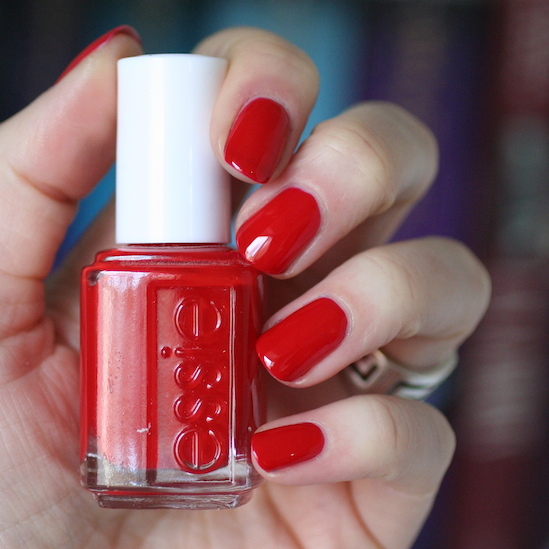 If you happen to be perusing an Essie shelf and you see this gorgeous beauty, don't pass her up! I love knowing little tid bits of information like these, thanks for sharing!! Really love this red but find it close to Too Too Hot - which I already own - so unless I find it crazy cheap I think I'll pass! This red is on my wish list!